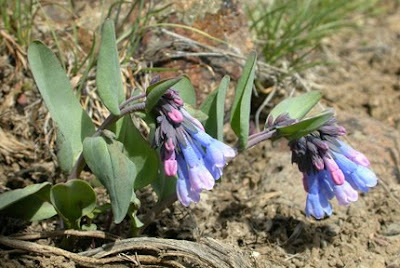 A brief post two days ago celebrated the fact that early spring wildflowers can be found blooming in Hells Canyon now. Photos of Dutchman's Breeches (Dicentra cucullaria) were included in that post, along with the hope that more photos would be posted soon. Here are photos of the Lomatium, Yellow Bells, Sagebrush Bluebells, and Sagebrush Buttercup. Lomatium, also know as Biscuit Root or Desert Parsley (Lomatium species). 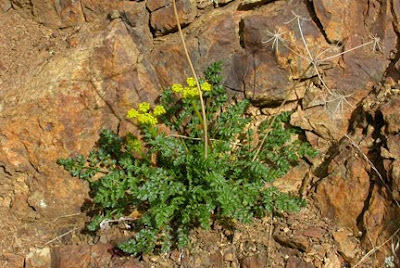 This early spring wildflower was growing on the rock face just a hundred yards or so downstream from Hells Canyon Dam. While they are not considered stunningly attractive by many, they have an interesting history of human use right up to the present. Some Native American tribes would cook, peel, cut-up and dry the roots of this perennial, which were later pounded to produce a flour that was used to make biscuits (thus the name biscuit root). They have been used medicinally by both Native and modern day Americans, and the Washoe Indians of Nevada were said to use the roots to treat influenza. 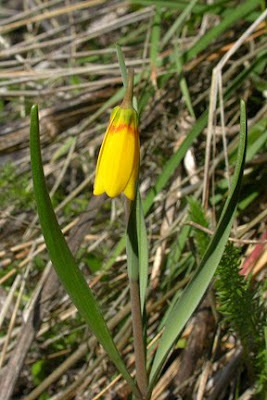 They are common and easy to spot in most of the interior West in spring through summer. Yellow Bells are members of the Lily Family and are considered perennial herbs, because, while they dry up and appear dead by late summer or early fall, their small bulbs persist underground to produce above ground growth in future years. They can be found in the interior West from the sagebrush foothills to the openings of the conifer forests--from near the bottom of Hells Canyon to the Hells Canyon Rim--with the first blooms at the low elevations and the last along the rim. While they were cooked and eaten by Northwestern Native American groups, unless you know how to process them properly, Fritillaries should not be considered edible because they contain poisonous alkaloids. I find all the early spring wildflowers very attractive, but the Sagebrush Bluebells are especially so. The flowers at Hells Canyon were not quite open at the tips, so I'm using a photo of a plant taken near a satellite Sage Grouse lek in the south western portion of Baker County a year or two ago. I'm unaware of any Native American uses for this plant, but this little beauty brightens the sagebrush communities in most of the interior west. The bright and cheery Sagebrush Buttercup is the harbinger of Spring for the locals in Baker County. I look forward to seeing them every March along Elk Creek Road, just as I did today. Ours had been blooming for only a few days and most had not opened, while those in Hells Canyon must have begun to open around a little over a week ago. 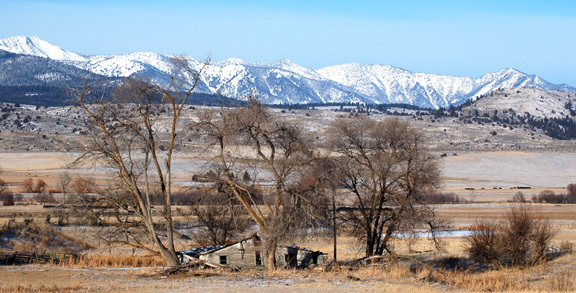 They seem to be about a week early on Elk Creek, which isn't surprising, given the mild winter. 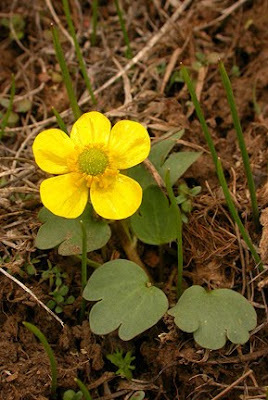 Most things have their dark side, and the buttercups are no exception--they are toxic. Ingestion can cause vomiting or diarrhea and they can irritate the skin. Northwest tribes used them for both poison and as poultices. According to the good folks at the County Court house, the first open court hearing in the Brian Cole case has been set for March 17th, 2010, at 2:00 PM, in Circuit Court. This could change up to near the last minute if a higher priority case comes along between now and then. My original understanding was that the trial would begin on March 17th, but what will occur is a "Motion Hearing,", where it is thought that Mr. Cole's attorney, Mr. J. Robert Moon, will make a motion to compel discovery of evidence that has been gathered for the case by the prosecution. This would include any evidence uncovered that might tend to clear Mr. Cole of Blame in the matter (exculpatory evidence). Additionally, if it hasn't already occurred, he will make a motion to return property of Mr. Cole's that had been seized by the State during their investigation. Other open court motions will likely be made in the days, weeks or months leading to trial. Mr. Cole has been charged by the State with two counts of Furnishing Liquor to a Minor and four counts of Sexual Abuse in the Third Degree. If you have been down to the courthouse on any of the dates when a matter involving this case was to be addressed, you will have noted the many people of little means having to publicly appear in court, some in chains, for legal problems ranging from name changes and marijuana use, to kidnapping. People are free to sit in court and listen to the give and take. Interestingly, given the charges involved, Brian Cole, to the best of my knowledge, has not had to appear in person even once. Also, to the best of my knowledge, most or all of the proceedings, like Monday's hearing and pretrial conference, were not held in open court. The Grand Jury was conducted in secret as a "secret body." March 17th will theoretically be an opportunity for the public to view a proceeding in the case, but nothing would surprise me and many things are possible.